Opinion: With the anniversary of the Six Day War just weeks away, the map is another bow to the two-state solution. In that war Israel defeated Egypt, Jordan, and Syria, capturing the West Bank, Sinai, Gaza and Golan. Each one is a critical buffer to repel enemy forces. Since then, Israel has given back parts of the West Bank, the Sinai and Gaza in exchange for peace that has never come. Edom has convinced the secular world that it must have those lands back for a two-state solution while ignoring the 1922 establishment of Jordan for that exact purpose. 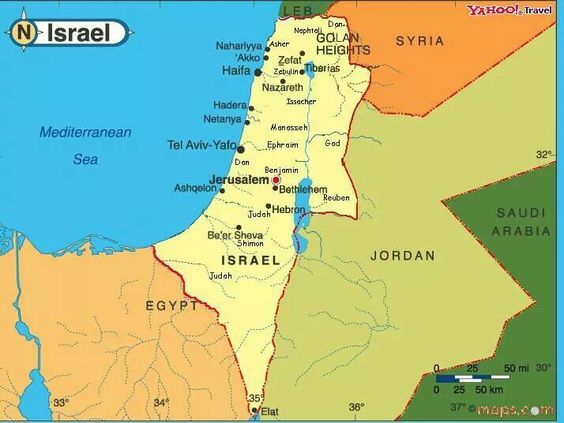 That the Trump White House would postpone US embassy move and issue the map missing the West Bank and Golan is a stunning disappointment, and if left to stand, will be a violation of Genesis 12:3, Obadiah 1:15, and Zechariah 12:3. Mr. Trump should be reminded who it is that raises up and removes kings (Daniel 2:21).